A recent statewide survey conducted on behalf of Expect More Arizona finds that voters in the state are concerned with the education system, disappointed in elected leaders, and worried that the quality of the education system costs Arizona economic and job growth opportunities and needed talent and expertise. However, while voters view a wide array of people and groups as responsible for their disappointment, they ultimately believe that they, too, (along with everyone else) have a role to play when it comes to improving education in Arizona. For an actual PDF download of the poll, click Expect More Arizona Voter Poll Summary 6_16_10. Expect More Arizona Press Release, click here. 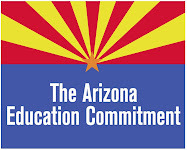 Expect More Arizona is a statewide public-private partnership dedicated to creating a movement of Arizonans who value education as our state’s top priority and are actively engaged in strengthening the entire continuum from birth through career. To learn more about their mission and their work, visit www.expectmorearizona.org.